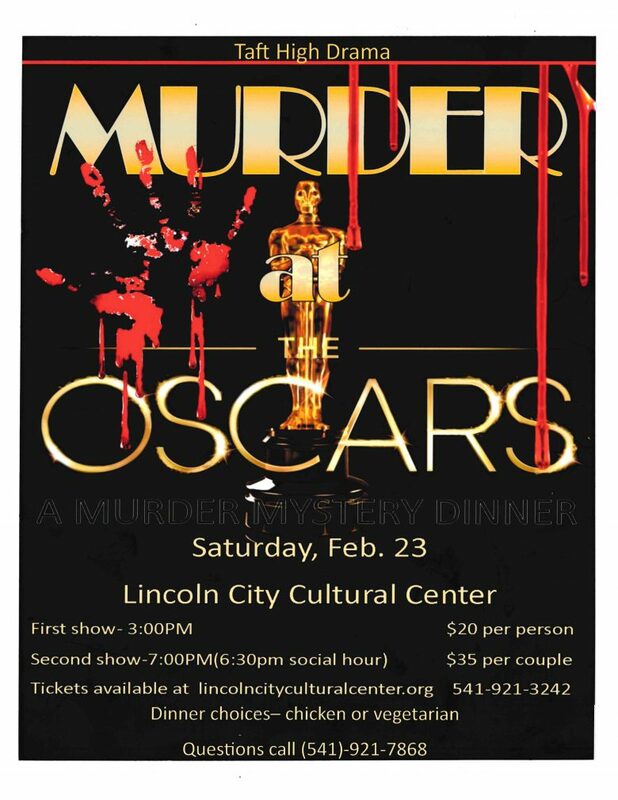 Come and support our Drama Program at the Lincoln City Cultural Center on Saturday, February 23rd. The Taft High Drama program will be hosting two dinner shows at 3:00 pm and 7:00 pm. Tickets are $20 per person or $35 per couple. For more information, please contact (541) 921-7868. Thank you for all your support, and we hope to see you there.